This evening in the Library we have ­­­­­­­­­­­­­­­­­­­­Nora Fountain, who has dropped in to say hello and to share some insights into her life as an author. Hello, I’m a trad- and self-published author of contemporary and historical romances plus one crime story ‘Chain of Evil’, which also has a romantic thread. I read from an early age, piecing words and text together in a wonderful book of nursery rhymes. This also introduced the rhythms of poetry. We did a lot of that at primary school and somehow poetry stays in the mind in a way that prose cannot. Later I was introduced to French romantic poetry and still love bits of Lamartine, such as Le Lac. I love the idea of feelings so powerful that they could be imprinted on the very rocks around the lake where they loved. I can also quote just four lines by the Spanish poet, Federico García Lorca. Just four – about the gypsies he loved, riding through an olive grove in the moonlight. Colourful stuff. I still read, of course. What writer doesn’t? I’m not a fast reader, however, and time is scarce. Since that wretched accident two years ago my weeks have been punctuated by trips to hospital. I always read when I go to bed, paper or ebooks. I like the feel of a physical book but my Kindle is wonderful to read in bed. It never folds up and loses my place as a physical book can do. I also like the enlarged print facility for tired eyes. I’m currently reading an Anna Jacobs and a rediscovered Edna O’Brien. I loved Edna’s earlier books. I’m finding this one a trifle difficult to get into. As I said above, I’m both trad and self-published. I was delighted when Hale took my first romance under a pseudonym – Lorna McKenzie, Lorna because I loved Lorna Doone which I read at the age of ten and McKenzie because it used to be my name. Hale went on to take four more romances before closing down the line because ‘no- one wanted to read romance any more’. Really? Really? As John Torode would say. After Hale there came the endless stream of rejections. I waited up to eleven months in some cases for their rejection letter. 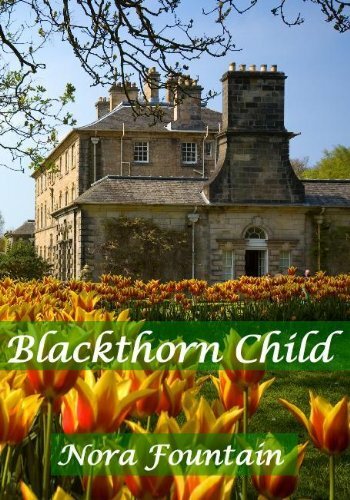 I decided that, rather than bat it back and forth (and we won’t look at it if it’s been sent elsewhere) to put ‘Blackthorn Child’, a historical set in the years 1848 to 1946, on Amazon Kindle. It soared up the lists, reaching top spot on one occasion and has attracted some wonderful reviews. My other historical ‘Love Thine Enemy’ has also attracted some great reviews. It’s set against the backcloth of the Second World War, one of my favourite periods. I was undoubtedly influenced by the fact that the house was full of books when I was growing up. Dad had a bookcase full of Penguin classics and a whole set of red, gold-tooled Dickens novels. He read a lot of serious political and historical stuff, too. Mum ‘liked a nice love story’. I’ve lived in various parts of the UK but I think Dorset’s the place my characters tend to come back to. Any trip abroad is liable to become the setting for a new book. I still have to write my Czech and Sicilian novels! What do I find the most difficult aspect of writing? Beginning at the right place, so I sometimes make several false starts. Once I’m in, the only difficulty is finding the time and having the strength of mind to turn off the telly. I do so love quiz programmes – Eggheads, Mastermind, even Pointless. You learn so many strange facts but it’s all grist to the mill. I met the son-in-law of our own Mastermind winner at an RNA Christmas party and he very kindly suggested some reading on the fourteenth century which I’m finding most useful for one of my current WIPs. I prefer to write early in the day but it takes me so long to get going these days that that hardly ever happens. I sometimes have a spurt of mental activity late in the evening so I go with the flow. I’m sure I don’t make the best use of social media. I can’t imagine anyone being that fascinated by my daily life. I mainly use Facebook but once on it, it’s so time-consuming. I have a dedicated author page. I tweet a bit (@norafount). I’m also on LinkedIn but that seems to have become a bit of a job site. If I weren’t an author, I’d be wearing my other hat as a translator of French and Spanish. I also love painting, especially with oils. I love the fact that if you make a mistake it’s easy to cover up. It’s much more difficult with water colours. If it was the last day and the earth was facing oblivion I don’t think I’d be reading. I’d be storing up the experience in case it wasn’t really happening and I could then write about it. If I had to read, it would be a bit of Lamartine. I am currently working on two contemporary novels and a historical. I like multi-tasking. I’ve mentioned Twitter, LinkedIn, Facebook. 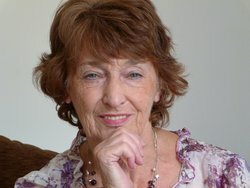 I also have an author website: norafountain.co.uk, where all my books are listed, with covers, photos, etc. My ebooks are extremely cheap, even the long historicals. Please take a look and even write a short review if you like what you read and feel so inclined. Thank you if you do, and many thanks to Pam for this opportunity. Oh fellow-Haler, you are certainly a very well-rounded person. And yes, the author has freedom of thought in a way others do not.